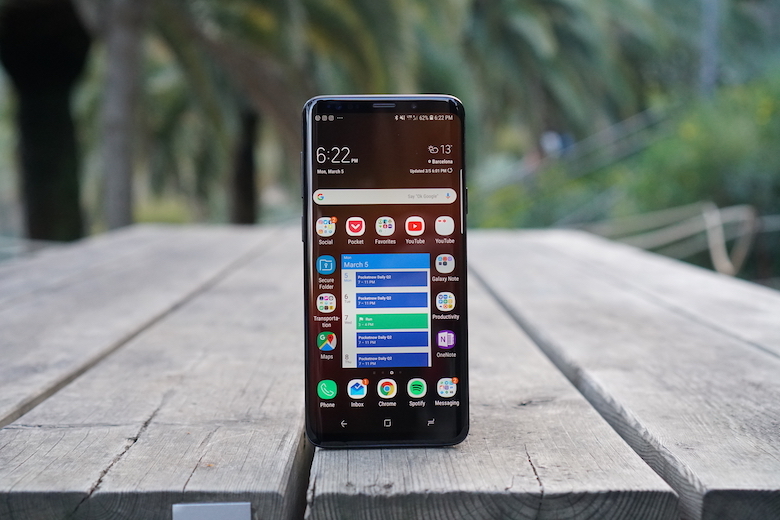 Unveiled on February 25 in Barcelona, Samsung’s extremely well-reviewed Galaxy S9 and S9+ have been up for pre-order across key markets like the US and Korea since March 2. Both stateside and in the chaebol’s homeland, the two phones will technically only be released on Friday, March 16, but early Korean adopters have actually started to receive their units a few days ago. Namely, on Friday, March 9, when 180,000 revised “Infinity Display” flagships were reportedly distributed through the country’s three mobile carriers. That’s not a small number by any means, although it’s significantly lower than the 260,000 first-day tally of the Galaxy S8 duo last year. The relatively steep 30 percent decline in local demand is pretty much in line with a report from last week about the S9’s early box-office success, seemingly contradicting the company’s own expectations. But in the long run, Samsung continues to forecast stronger global Galaxy S9 performance than the 41 million units apparently shipped by the S8 lineup. Progress will be small, according to company officials, with “market conditions” likely to lead to revisions down the line. Currently, the internal goal stands at 43 million units, which third-party analysts from firms like Counterpoint Research seem to deem reasonable… enough. That would be a measly 5 percent increase over the combined S8 and S8+ figures, as well as a full 10 percent off the S7/S7 Edge sales scores. Of course, smartphone demand in general is slowing down compared to a couple of years ago.